Liverpool are understood to have recently failed with a bid of around £61m offer to prise away Lorenzo Insigne from Serie A side Napoli. The Italy international is highly regarded by Reds boss Jurgen Klopp and the Merseyside giants are said to be tracking him for the past 12 months. According to Repubblica, the Reds recently launched a £61m offer for the Italian but the package was swiftly rebuffed with Napoli president Aurelio De Laurentiis valuing the forward at around £132m. 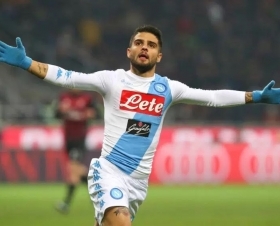 Insigne has been a main stay in Napoli's progress in the Serie A over the past few years and he has contributed 11 goals and five assists for the club during the ongoing campaign. He was on the scoresheet against the Reds during the Champions League group stage earlier in the season but that was not sufficient to help his side progress to the knockouts after Klopp's side won the reverse fixture at Anfield by the same scoreline.